The Historic Preservation Division offers state and federal income tax credits to encourage preservation of historic residential and commercial buildings. Many historic properties around the state are eligible to qualify for this popular financial incentive. They must be individually listed on the historic registers or contribute to the significance of a listed historic district. The owners of this 1930s rental utilized the state tax credit program for its rehabilitation. 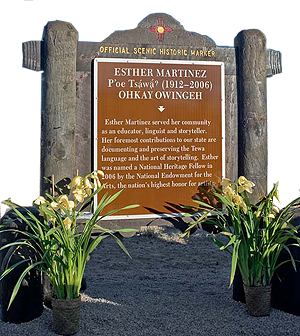 Established in 1935, Official Scenic Historic Markers can be found on nearly every road and highway in New Mexico. They extol the geographic marvels of our state, and the virtuous, the venerated and the notorious people who have shaped our history. Most nominations come from citizens and are reviewed by HPD. The Cultural Properties Review Committee approves the final text and the New Mexico Department of Transportation builds and installs them. HPD is charged with ensuring that projects carried out entirely, or are partially funded, by federal and state agencies comply with historic preservation laws. HPD reviews thousands of projects each year to ensure they are planned to avoid or minimize harm to cultural resources. In the process, HPD assists project developers with following preservation laws and learns more about local history. State archaeologists unearthed this ca. 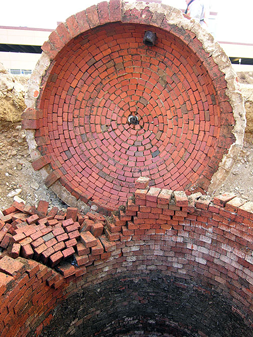 1906 cistern used as a cesspit by two homes with early indoor plumbing in Santa Fe in preparation of a new state office building. Hundreds of volunteers throughout New Mexico monitor local cultural sites and report erosion, vandalism and theft to government authorities. They are trained by HPD to become official site stewards. 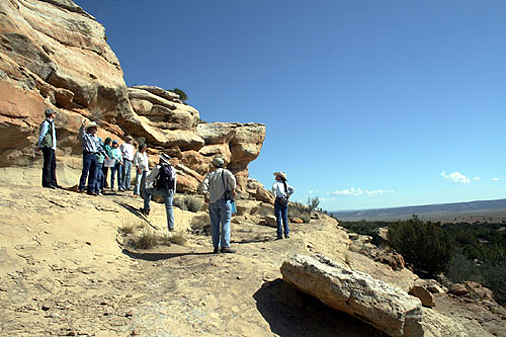 Site stewards also serve as docents, here leading a National Park Service tour in the Galisteo Basin. Properties listed in the State or National Registers can qualify for low-interest loans administered by HPD and a lending partner. 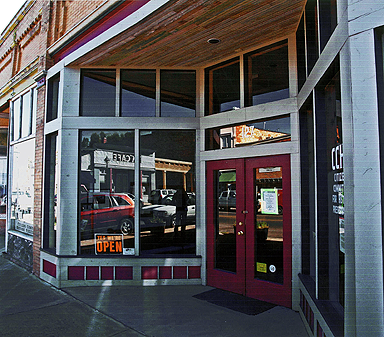 The division also facilitates loans to property owners in certified MainStreet districts through partnerships with New Mexico MainStreet and the Department of Finance. The Winternitz Building in Las Vegas re-opened as a gallery and studio space using our loan fund. May is Heritage Preservation Month. Events held statewide each year celebrate New Mexico heritage, HPD issues an annual poster distributed free of charge and outstanding preservation achievements are recognized with awards signed by the governor and presented by the Cultural Properties Review Committee at a ceremony and reception. 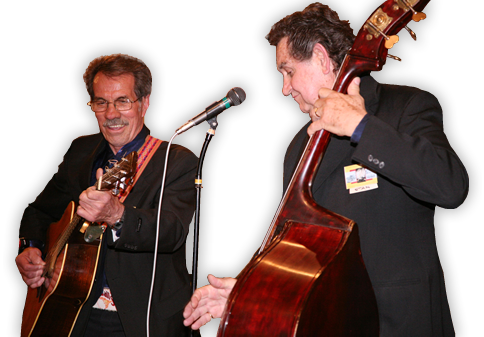 George Tomsco and Stan Lark, of the Fireballs, closed one of our shows and brought down the house. HERITAGE PRESERVATION MONTH 2019. 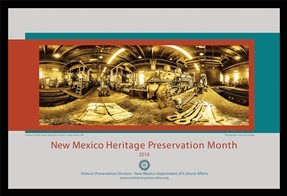 2019 is the 47th year that New Mexico has celebrated Heritage Preservation Month and the 32nd year issuing a poster. This year's poster features the locomotive shop at Cumbres & Toltec Scenic Railroad in Chama, NM. Harvey Kaplan, HPD Staff, made this 360-degree panoramic photo stitched from individual images. The 2017 Heritage Preservation Awards were presented May 12, 2017. Las Coloniales, of La Sociedad Colonial Espanol de Santa Fe, danced several numbers and took home an award. Read about all of this year's awardees on the Heritage Preservation Month page on the website. The New Mexico Historic Preservation Division identifies and protects New Mexico's cultural resources, including its archaeological sites, architectural and engineering achievements, cultural landscapes and diverse heritage. We help communities identify, evaluate, preserve, and revitalize their historic, archaeological, and cultural resources. Preservation happens locally. It is site specific—your building, your block, your town, your landscape. It is built on partnerships. 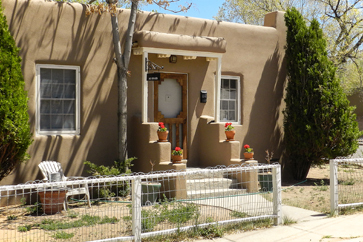 Our website provides easy access to the information you need to help preserve New Mexico's diverse cultural heritage, encourage community revitalization through re-use of existing buildings and enhance heritage tourism opportunities.